Where do you get c drive fins ? The site seems to be down for a long time. What colours do they come in ? Was there to be Futures available ? 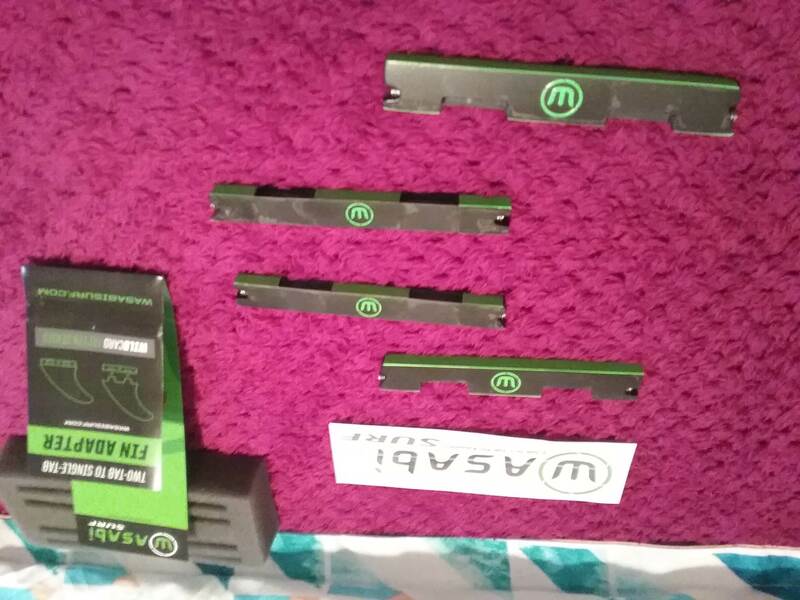 You make cdrive a must try option to try that I have been hanging out to try, had a go making diy ones. Felt interesting but wanted more . I sent an email to Troy. He responded right away. 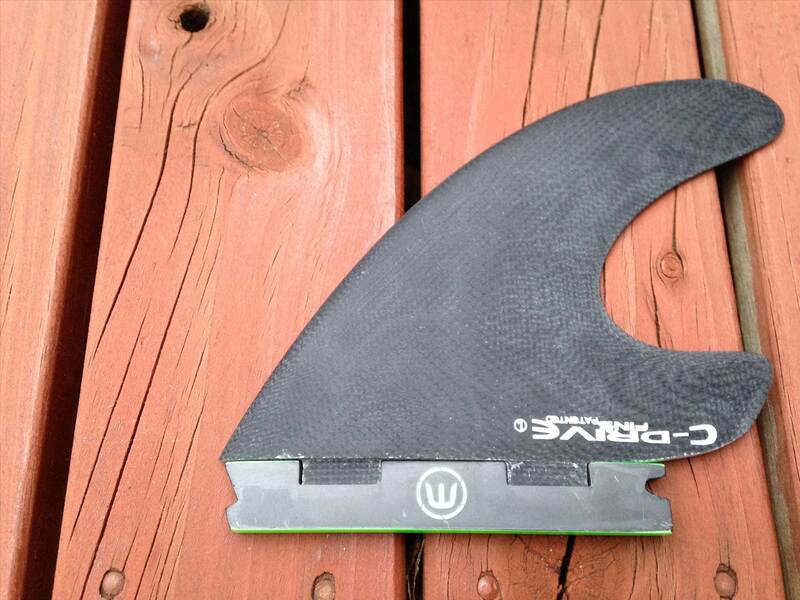 He is out of stock and should have more fins available in the new year Feb or March. Last time I contacted cdrive he told me he would have stock in June this year ! does it come in front and rear future profiles ? 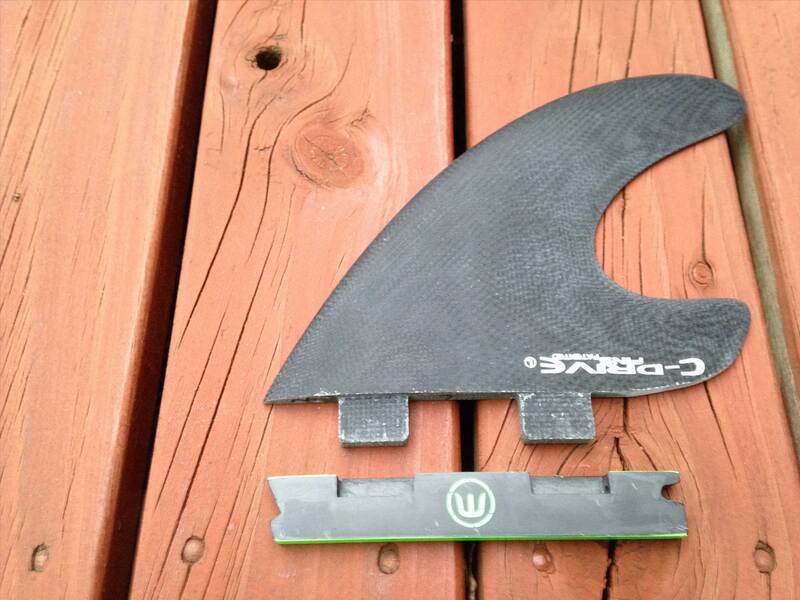 Wasabi Wildcard Fin Adapter . Opens up hire board options. 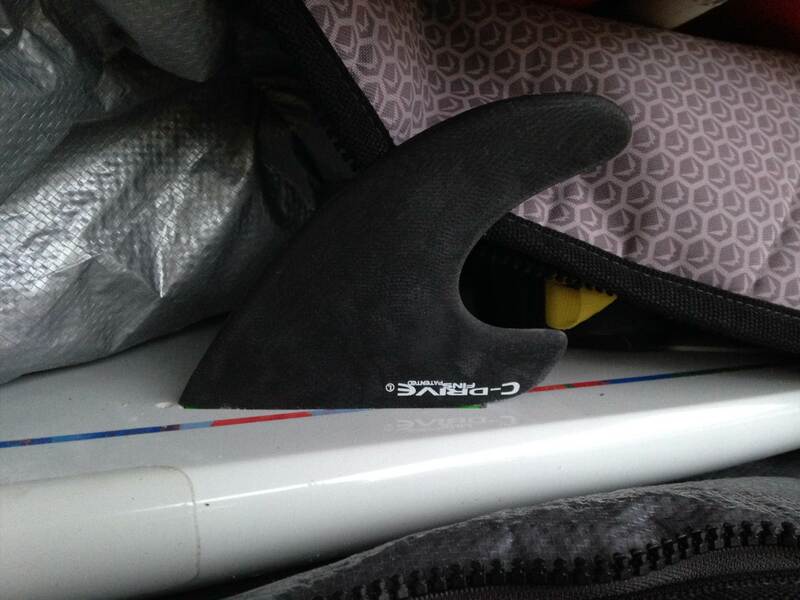 fins have been a big part of my learning SUPsurfing . Quick reply from Julian at Wasabi, so a quad adapter set on the way. Hanging out out to run them with C-Drives in G Lopez 9'0. I have a thruster FCS set I'm happy to part with. why do you say futures are better? the way they anchor or the shapes? They have a reputation of ensuring a snug fit, but it is not really true in my experience. Some Future box and fin combination will have a snug fit (you know it because they are a bit hard to put in and out), but others can be quite loose and wobble quite a bit. The Future system has a bit the same problem as the US Box: sensitive to the micro differences of thickness of the fins bases, and their width can change with time. FCS is more reliable since the screws pressure compensate for any slight difference. But it is true the FCS 1 connection to the fin was less tight than a good future box+fin combo. 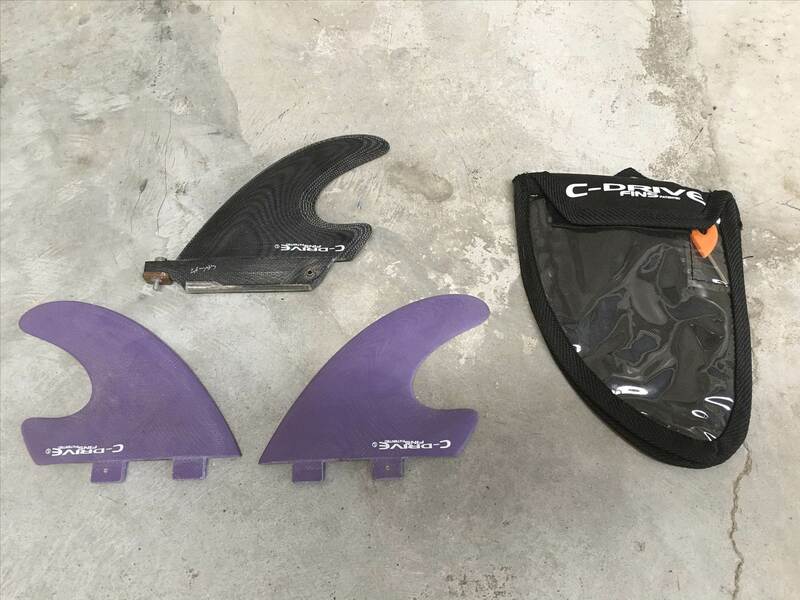 But now with FCS II you got both a solid fit with more fin base inside the box, and a tight fit as the lateral pressure adapts to the slight variation in fin base thickness. 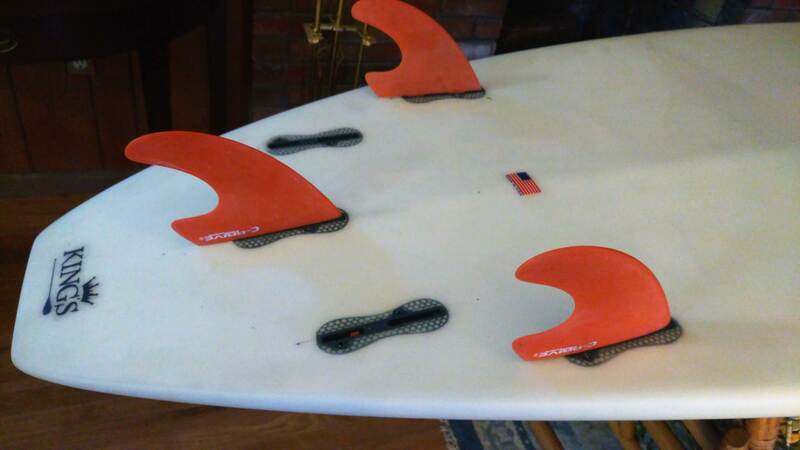 The drawback is that the FCSII fin offerings, although plentiful in the mainstream fin shapes, is quite poor for "not normal" fins, such as the C-Drives. Bender has gotta bidding war happening. leads me to ask is Troy ok ? Or does he need a hand from us to get it happening. And the winner is Bighugg. I will be in touch this evening. 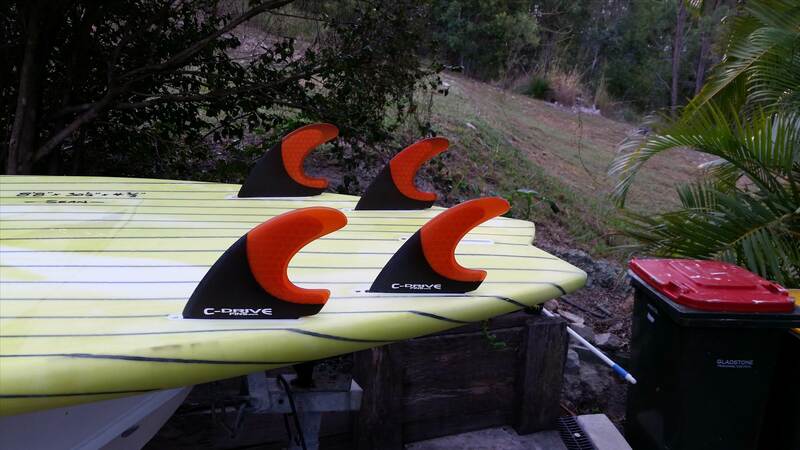 My 5 fin C-Drives set, large centre, medium sides, xs rear quads. Good point mate. 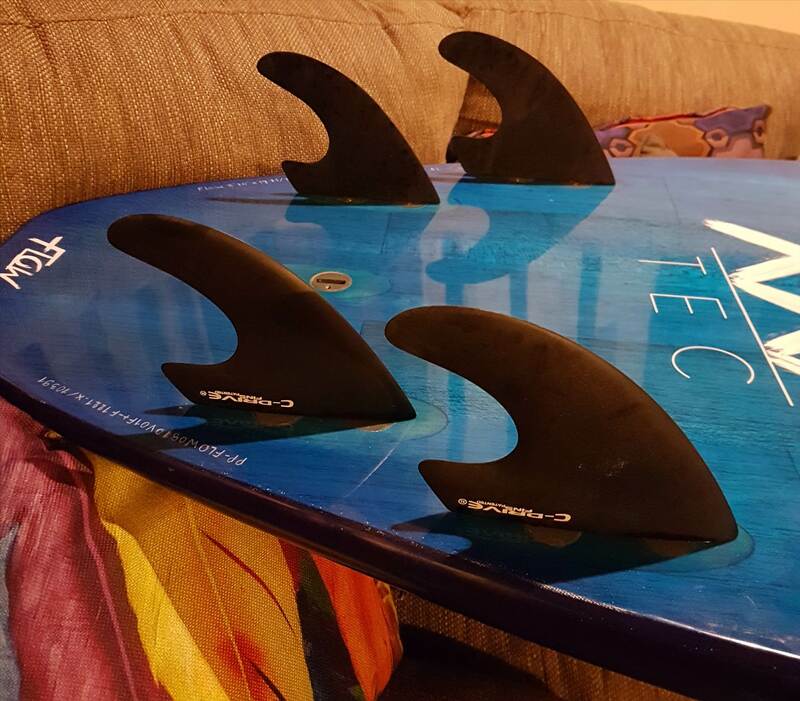 Troy thanks me for my support whenever I buy a set of fins off him. IMO because the product is outside of the box, demand would fluctuate. It would be hard to have a sh1tload sitting around not earning coin. I personally love them. 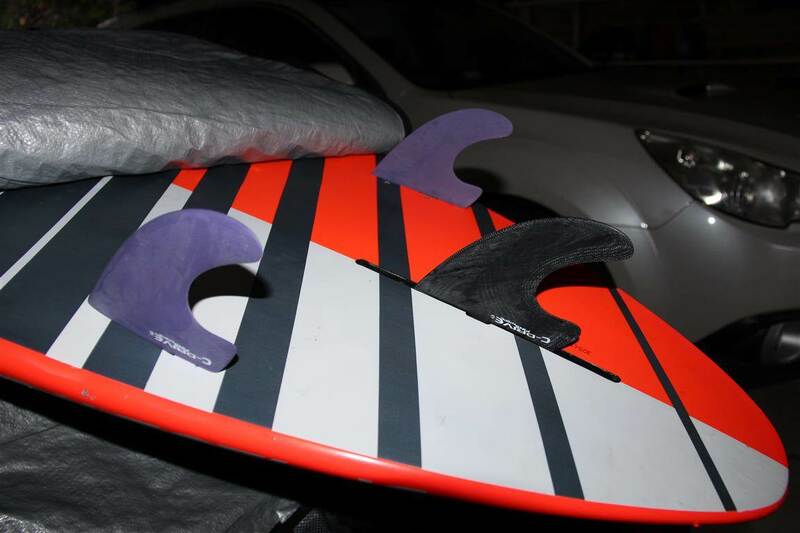 For a big bloke, on fat ar5e boards on "not the best" waves in the world, they have made my sessions so much more fun, so many times, I keep going back to them. There's definitely interested people out there. When you look back at posts ,big names have cranked big name waves with big smiles and praised C-drive for the sessions. It gives possibilities to us Brenno thus named . Mmmm plus a 8', 9', 10', 11' center box . Love mine in this big King's winter sled! New range Mid 2018 . Whose interested in getting C-drive ? What options to support this small business ? Or is that a new thread.... ? I'm interested. As long as he gets some Futures as promised. 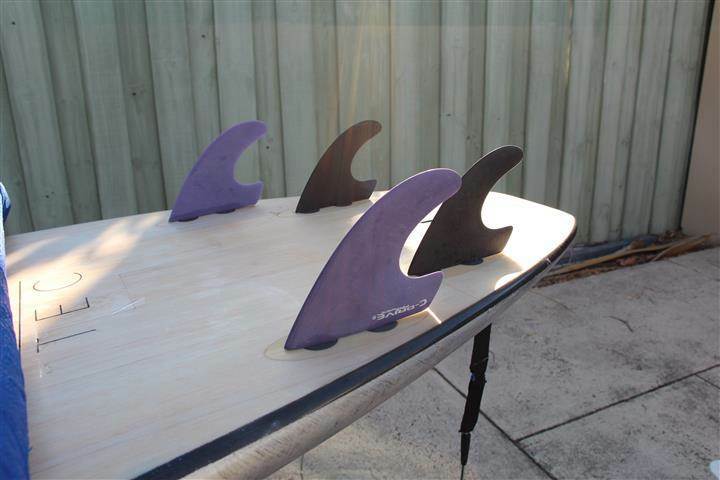 Well I'm a bit of a self confessed fin whore but I don't like to see them going unused. So if you are keen I am willing to part with a Large FCS thruster set that has only been used once.